If you were to ask a cross section of people “What is Yoga?” the most likely answer to that question is that is a practice of physical exercises intended to lead to well being and health. This article will form part of a 30-day FREE online course. This course will be written in the language of the Heart and have an emphasis on poetry, storytelling, song and practice. In researching various answers to this question, “What is Yoga” I find that many answers do not cover the Essence of yoga and the more important question that is “The why of yoga.” Why are you interested in this topic? To understand the meaning of life. To connect to the true Source of Happiness. To follow the reason for YOUR Being. To know that you are blessed and can bless? To give you the proper understanding of the word ‘yoga’ is to give you an experience that is beyond words and beyond belief. It will blow your mind. This experience of yoga transforms the way you view the would and how you live in the world. These are not in reality ever separate although that is very often how we feel. Yoga gives you that direct experience of knowing unity. This is not something you believe in. It is a KNOWING that you live from. It is a revelation that revolutionizes your life. To become a true yoga practitioner is to make it your primary intention to live as a field of unified energy. You walk the world in Beauty. You live as a full expression of the Message of Love as it is uniquely intended to be expressed through you. The 1st half of life. The 2nd half of life. The 1st half of life is the journey into developing the personal sense of separate self called the personality. The word personality comes from the Greek word ‘persona’ or mask. It is the mask with which you face the world. Midlife, hopefully, brings you some form of existential crises of meaning. The 2nd half of life is the journey into finding meaning and purpose through the direct experience of union with the Souce of Love. In this journey that is The Way of Yoga the paths refer to different types of yoga practice. 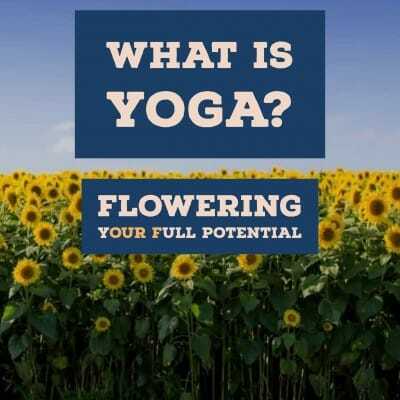 There are now so many different types including flow yoga, kundalini yoga and Ashtanga yoga to name a few. In the ancient Yogic tradition, however there are four main paths. These paths tend to reflect the personality of the practitioner. For the integral development of body, mind and soul, it is recommended that these four main paths be followed. However, dependant on your personal temperament you will make a particular path central to your practice. In my own life (2nd half of life) I am now drawn to the practice of Bhakti Yoga which earlier in my journey wasn’t really present. I was more drawn to the practice of Jnana yoga and not at all to Karma yoga. In brief, these paths involve and are temperamentally suitable to different people in the following ways. Karma Yoga is the path of action and suits people with active temperaments. Performing actions selflessly – without thinking of success or reward – purifies the heart and reduces the ego. Karma Yoga is the best way to prepare oneself for silent meditation. Bhakti Yoga is the path of devotion and is for people who are emotional by nature. Through prayer, worship and ritual, one comes to see the Divine as the embodiment of love. Chanting mantras is part of Bhakti Yoga. Jnana Yoga is union through the path of wisdom or knowledge. This path is most suitable for intellectual people. The philosophy of Vedanta teaches analytical self-enquiry into one’s own true nature, with the goal of recognising the Supreme Self in oneself and in all beings. Raja Yoga is the path of controlling body and mind. The asanas (body postures) and pranayamas (breathing exercises) from Hatha Yoga are an integral part of this yoga path. The main practice of Raja Yoga is silent meditation where bodily, emotional and mental energies are gradually transformed into spiritual energy. When the higher flows into the lower the lower is transformed into the higher – Meister Eckhart – Christian mystic. There is another way of following The Path of Yoga that involves seven paths. These seven paths are related to the seven major energy centres in the body. These energy centres are referred to as chakras. Again this is not to be understood in linear terms. When the German Christian mystic Meister Eckhart declares, “When the higher flows into the lower the lower is transformed by the higher,” this could be related to the seven chakras. The lower (not to be taken as a judgement) relates to the lower three chakras. These are related to the development of the personality in the 1st half of life. The heart chakra (4th chakra) can be seen as the bridge between the higher and the lower. This is usually opened through some form of crises in midlife. This is not necessarily the case for everyone and this centre of heart energy can be opened through the practice of Bhakti yoga – the yoga of devotion. In the quote by Meister Echkart ‘the higher’ refers to the higher chakras or energy centres. These are the centres related to experiences beyond the personal. These centres relate to refined energy that becomes available to flow through the heart and transform the personality. The person is no longer their mask but the flow of Essence. They are transformed. They know that they are blessed and can bless. These signs are always available. As the practitioner opens to the higher then they begin to experience these signs as part of everyday living. Usually there is less crisis and suffering. This is where you have a recurring pattern happen in quick succession that is for many people ignored. However, it is the way in which the Universe is speaking to you directly. If you ignore this invitation then the experience shuts down. This is not a punishment. It is simply a result of your personal mind over-riding the invitation from Universal Mind. Intuition relates to the experience of “inner teaching.” This is not the acquisition of more information but the more radical experience of KNOWING. In having the patience and courage to wait in this state of emptiness the practitioner of yoga becomes available to be KNOWN through by Universal Intelligence. Crisis and suffering are not a punishment but can, and do, feel that way for many people. Much of the suffering in the world is what wisdom teachers refer to as unnecessary suffering. This is because life is lived from total identification with the personality. Wisdom teachings teach that there is necessary suffering. This is suffering that awakens you to the possibility of your own magnificence. This is referred to as an existential crisis. If, as a consequence of such necessary suffering you are drawn to the path of union then such suffering will be, in the end, recognised as a form of blessing. The Steps along the Path. The steps along the path of The Way of Yoga are the daily practices that you engage in to unify body, mind, heart and soul. The practices you choose are best determined by your temperament. It is your work as a practitioner of yoga to explore what works for you. What works for you at one stage of life may not work at another stage of life. In my own case I am, in the 2nd half of life, more drawn to prayer and devotion (Bhakti Yoga) and Yoga Nidra (Embodiment) than I was when I was younger (1st half of life). Then I practiced Hatha Yoga (Embodiment) and Jnana Yoga (Path of the Intellect). The Way of Yoga has something for everyone. I was seventeen years old. I lived in Northern Ireland in the City of Armagh. It was the swinging sixties. The Beatles has just arrived on the scene. This introduction to What is Yoga changed my life. It has perfumed my life ever since. Here is the poem I wrote that is really a poem of gratitude both to yoga and to my mother. On the winding stair my mother gave me a book. Inside was a treasure I did not know I had lost. Now, oft times when I think of my mother I wonder. How come she knew the treasure was mine. The secret of secrets is forever inside you. Your purpose is the be a revelation of this secret. This is the work of a practitioner of yoga. Join me on the journey that is The Way of Yoga. 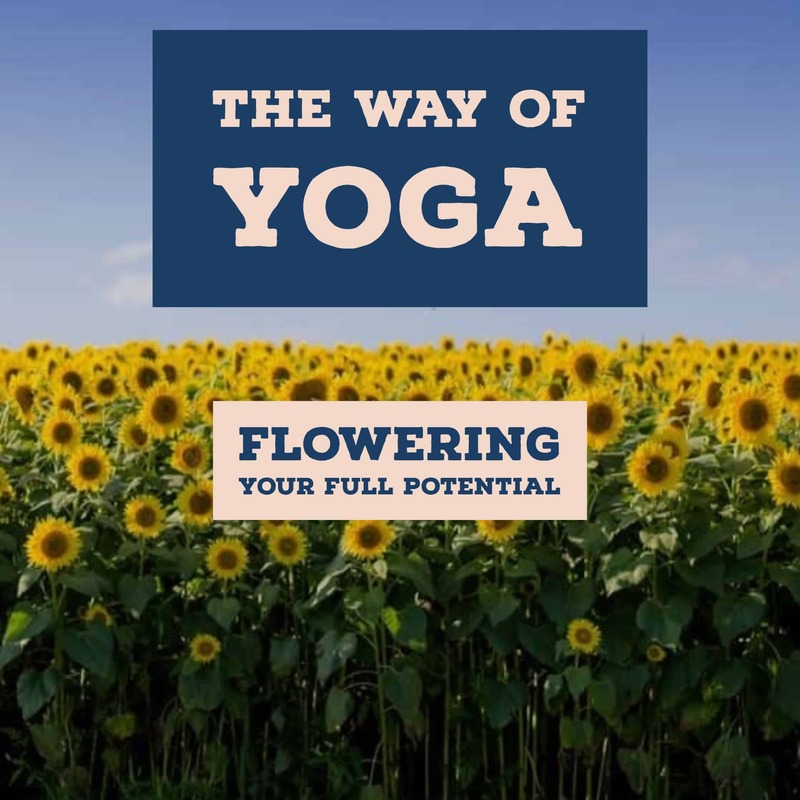 Begin with the 30-day FREE introduction to The Way of Yoga that is the invitation of living a life you Love. This program will ensure you KNOW what yoga is and how its beauty and power can enhance your life in most every way. The real meaning of health and prosperity. How you can be truly happy. The key reason for suffering. This sharing of The Journey of Yoga will be done in a unique, and I hope fun and inspiring way. I intend to take you on a journey of unity through the invitation of poetry, storytelling, song and practice. This is the use of the language of the heart. It is my favourite language. Union will not be experienced without the connection of the heart to the Source of all being. So it is best that you learn a new language – the language of the heart. So think on this longing to connect So why not become one who speaks that sweet moon language that every other eye in the world is longing to hear – Hafiz. 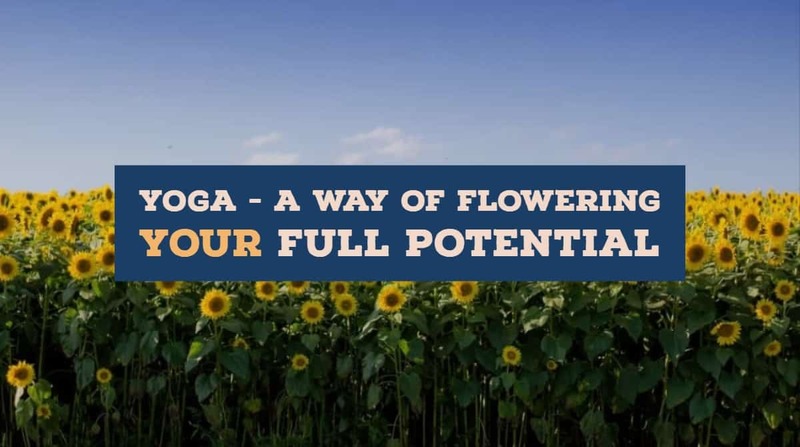 This 30-day online program of instruction in The Way of Yoga is being written as from 26th March 2019. It is planned to be completed before the end of June 2019.